Brighton is sometimes called London-by-the-Sea (or even Shoreditch-on-Sea) so obviously there’s a beach and water to play in, but beware it’s a stone/pebble beach, so no sand for you! 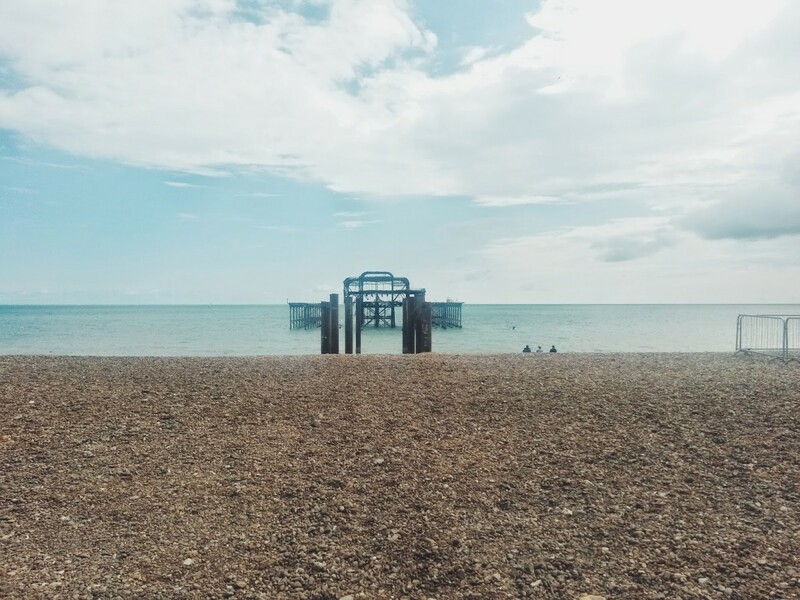 Even if the weather isn’t bikini proof you can still walk along the beach, dip your toes into the sea and take photos of the burnt down pier. 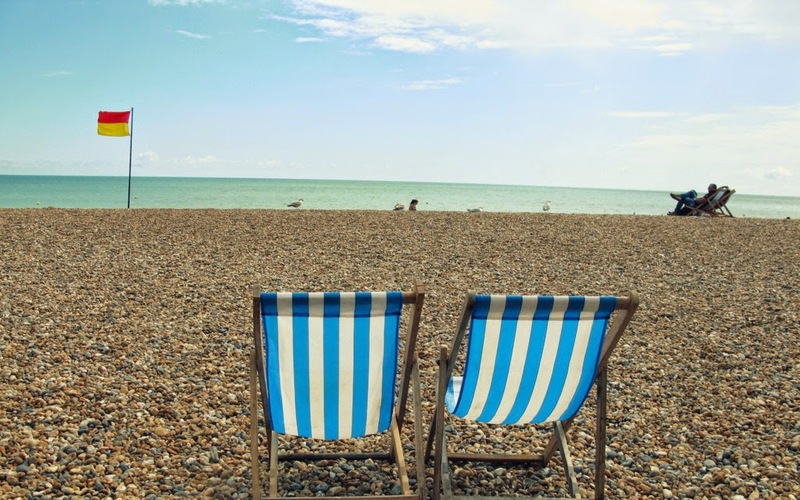 If you’re feeling a little peckish why not try a barbecue on the beach, after 6 pm you’re apparently allowed to, but I wouldn’t recommend trying to catch and roast a seagull – they are everywhere but sadly I doubt they taste very nice. My favourite thing to do was walking through the Lanes and exploring the cute (vintage) shops and small markets in the tiny alleys. Also make sure to pop by the Photo Booth in Snoopers Paradise which comes with a dress-up box – I was a cowboy, safari ranger and crocodile all in the space of 3 minutes (I’m not crazy I swear!). 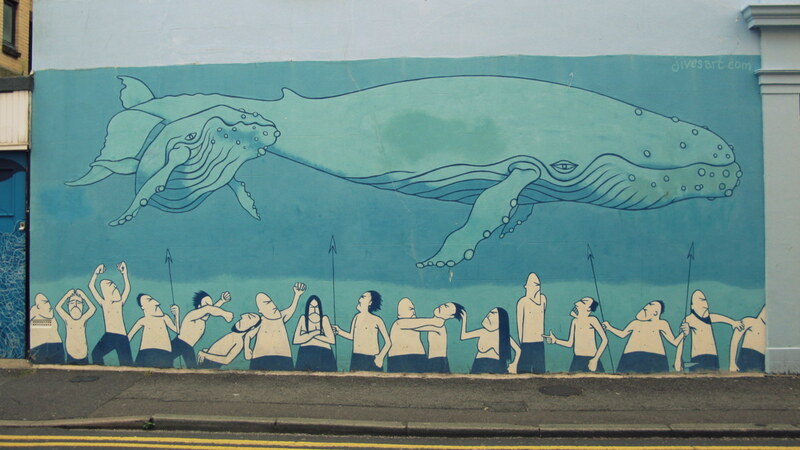 These areas are full of street art too, so get snapping, staring or being inspired. 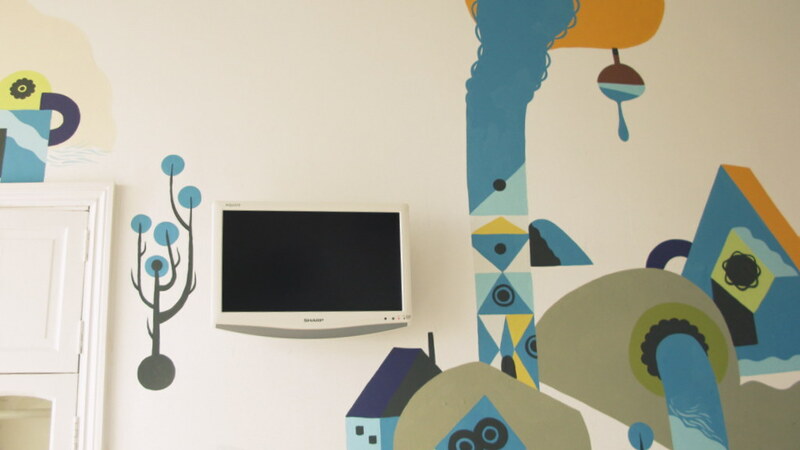 If you decide to lay your head to rest in the city then make sure it’s on a pillow at Arts Residence Brighton, a quirky hotel meets art boutique. I really loved the background story too: the hotel had been in the family for years and when times were harder they changed course and enlisted the help of local artists.The artists each took one of the 23 rooms and gave them their own theme.This really adds some extra character-and there is also the killer view. It’s hard to miss it: Brighton Pier and its cheesy arcade, fairground rides and fast food stalls. Ignore the trashiness and it’s perfect for an evening walk topped off with a portion of fish and chips, the walk was quite a while, it seemed the pier went on forever! 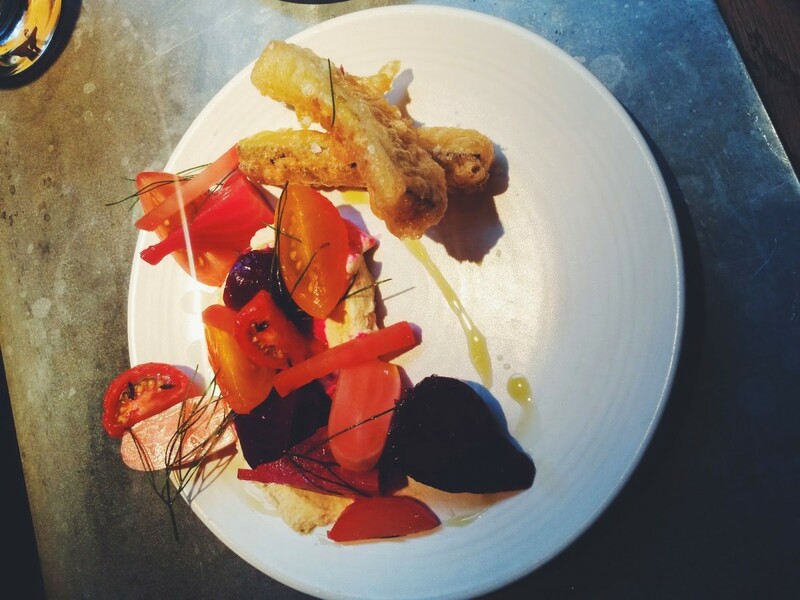 64 Degrees has one of the best concepts ever: they serve 16 small and dishes (four meat, four fish and four vegetables) on the menu, the idea is that you share your food and that way try as much of the menu as you can. This is perfect for someone who can’t choose (yours truly). And because they feel the kitchen is the heart of a restaurant, you sit at the bar overlooking them prepare, just order dish after dish and watch them do some culinary magic. 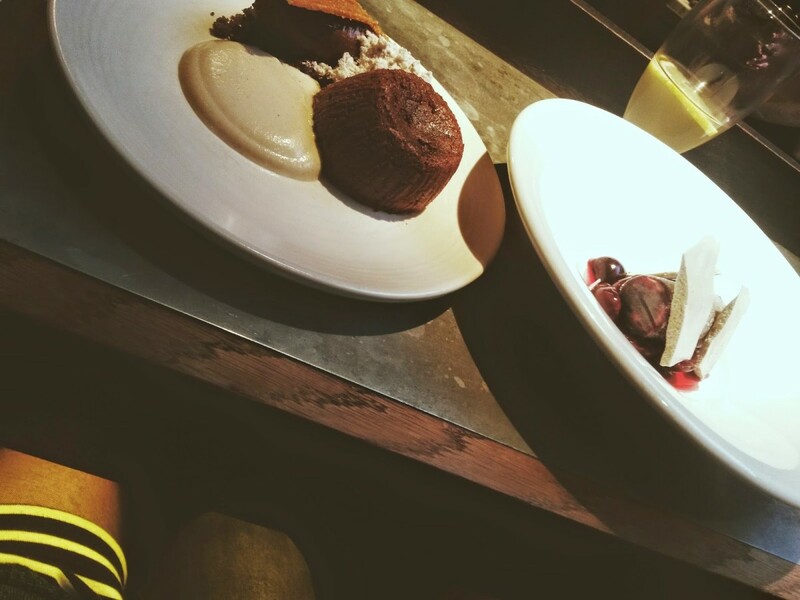 The portions are not huge and the menu is kept light so you get to have dessert without feeling too guilty. They opened a location in London and I am looking forward to scoping it out soon! Well this only makes me want to go to Brighton even more than I already did. Thanks. Brighton is one of my favorite UK cities! I love the quirky pavilion (which is gorgeous inside) and walking along the beach! My favorite discovery there is Choccywoccydoodah and their chocolate art!! 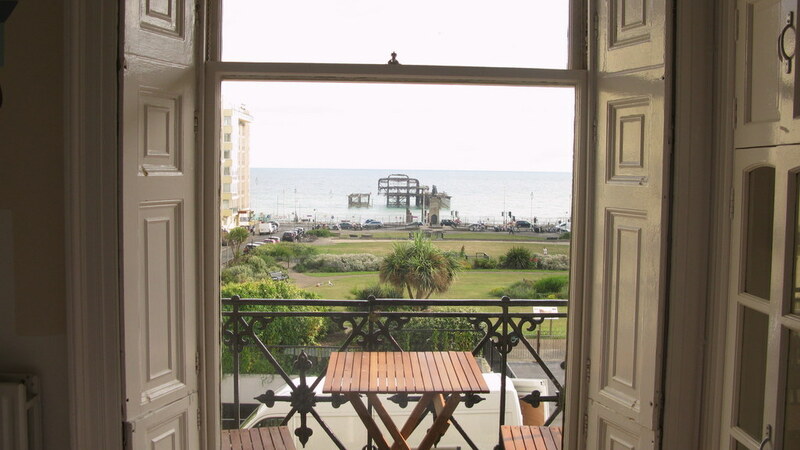 I LOVE the look of Brighton and I am dying to visit once I am back in the UK. 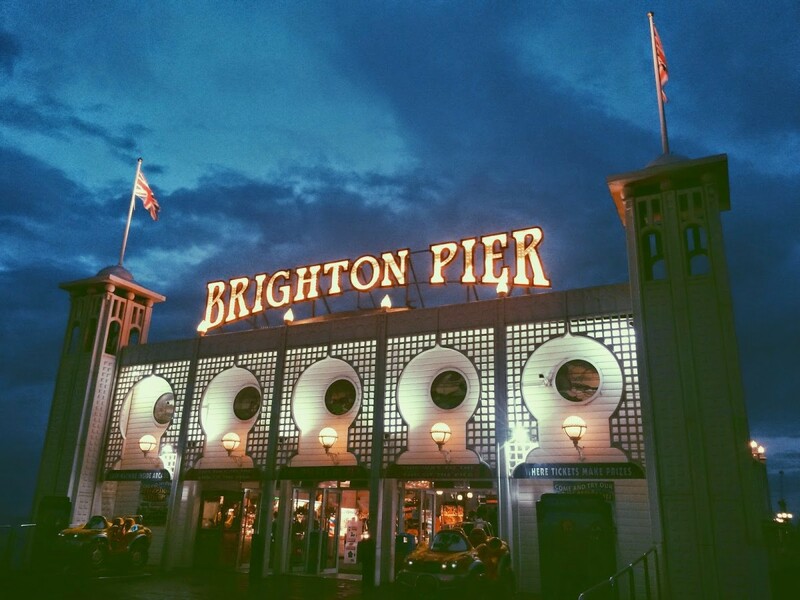 Every time anyone shares pictures I am always like :O.
I love this little post, I always dismiss going to Brighton as it just seems so so so far away from up in Yorkshire, but maybe it’s about time we headed down for some southern sunshine! It looks like you had an amazing time and that balcony, oh lord, its the thing of dreams! I loved your post. 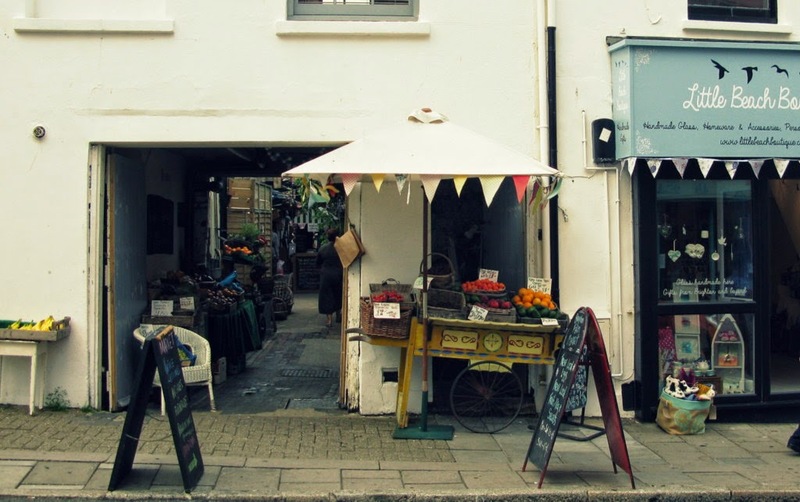 I love Brighton too and wandering through the lines and finding all the cute little shops. Even though he pier is a bit tacking, you can’t go to Brighton and not have a go in the arcades. I’m looking forward to going back :). I have some sort of fascination with piers and fun things to do there. So jealous of the opportunity!